When you and your family are out in the backyard enjoying fun on the trampoline, have you ever talked about a history of trampolines? They aren’t just for jumping in the backyard, that’s for sure! Jumping also called, rebounding, on a trampoline is an Olympic sport and one that boasts anaerobic and aerobix health benefits, whether you’re using your own in-ground trampoline or are using one at a trampoline park. In addition to the aerobic benefits, jumping on a trampoline is a low impact workout that tones your core and your leg muscles. Rebounding increases your balance and agility as well. The first trampoline was built in the early 1900s by a gymnast, George Nissen, who was inspired by circus nets that the performers dropped into during trapezee routines. Even NASA and the Air Force use trampolines to train pilots and astronauts. It was in the 2000 Olympic Games when trampolining became an official sport. The health benefits of using a trampoline, as mentioned earlier are that it’s a low impact cardio workout. When you jump on a trampoline you are also not jarring your joints. When you jump on a trampoline you are also increasing your lymphatic circulation and helping to remove toxins from your body. Trampoline also is a great stress reliever — who can be upset or stress when you’re gravity free and bouncing in the air? Make certain when you and your family are on your in-ground trampoline that you are jumping safely. Don’t have the trampoline installed near concrete, clotheslines, holes, trees or power lines. Children younger than six years shouldn’t be allowed to do any kind of high jumping. It might make sense to have a parent on there, holding their hands, while they jump. Looking for a way to impress your friends? 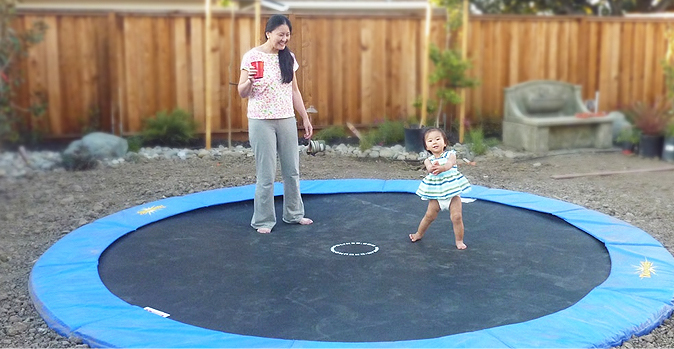 Share the history of trampolines with them while you’re out using your in-ground trampoline. An in-ground trampoline is considered by many owners to be a fun place for your children to jump around and enjoy themselves. Did you know though, that there are many benefits of an in-ground trampoline as a workout piece of equipment for adults? It’s true! 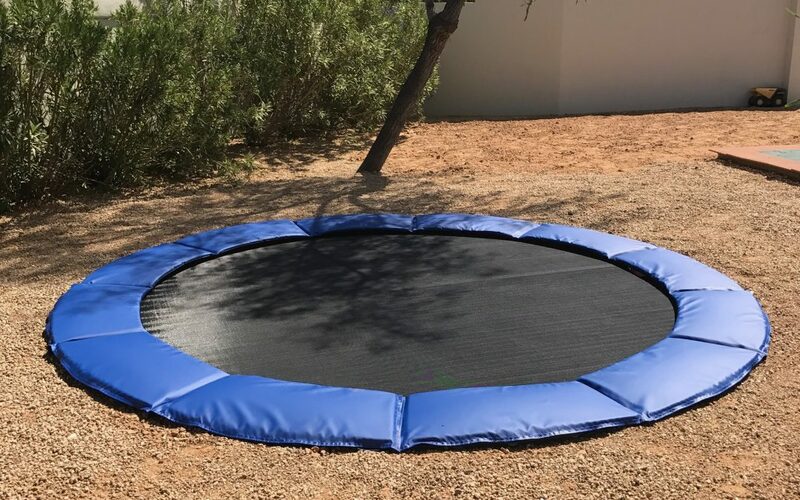 When you exercise aka rebound on an in-ground trampoline you are able to stay healthy and fit and exercise without fear of injuring your bones or joints. Rebounding helps defy gravity, remove toxins from your body, increases your body’s blood flow and oxygen availabilit. When you are jumping on an in-ground trampoline you may also be reducing your levels of cholesterol and improving lmpthatic circulation — this is ideal for breast cancer survivors who may have had lymph nodes removed. Your mood will improve because it’s so much fun! If you’ve been thinking about getting an in-ground trampoline, contact us for more information.